Metformin is a prescription medication used to treat type 2 diabetes. People with diabetes have increased blood sugar levels. This happens because the body doesn’t produce enough insulin and also, the cells do not respond to the insulin that is produced by the pancreas in our bodies. Insulin is one of the main hormones that regulate the blood sugar levels and allows the body to use sugar (called glucose) for energy. Metformin is part of a class of drugs called biguanides. People who suffer from diabetes have higher blood sugar levels than normal. Metformin will help limit the amount of sugar in your blood. It reduces the size of glucose your body absorbs from the food you eat and limits the amount of glucose produced by the liver. Metformin cannot treat type 1 diabetes (condition in which the body does not produce insulin and cannot manage the amount of sugar in ones blood). 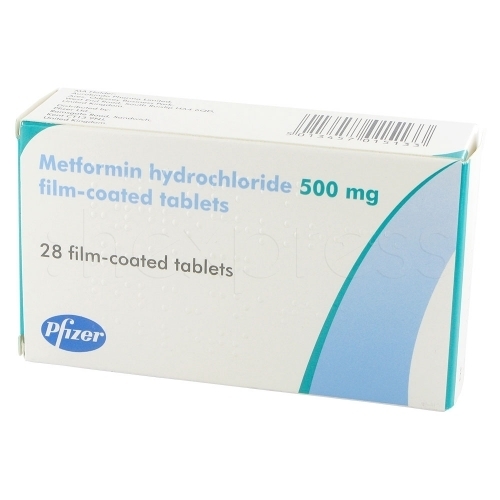 Metformin is available as an oral tablet in 500mg or 850mg dosages. 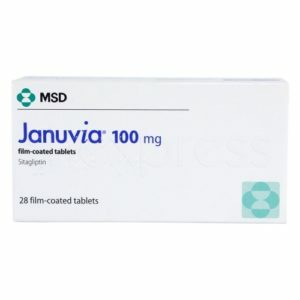 The tablet is taken usually with food two or three times per day or as directed by your doctor. To help form a routine, it’s best to take the tablet at the same time daily – this way you are less likely to forget. medication conflicts with any existing medical conditions or medications you are currently taking. Can I purchase Metformin online? Yes you can. To by Metformin prescription medication online you will first need to complete an online consultation. This replaces the one on one consultation that you would normally have with a doctor. The consultation should only take a few minutes. 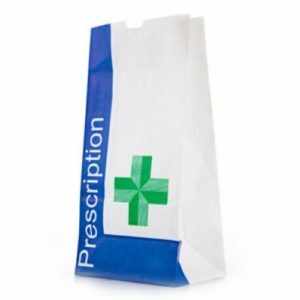 Once this free consultation is completed the medication will be dispatched from the chemist within 48 hours. Arriving to you at home, saving you time and money. 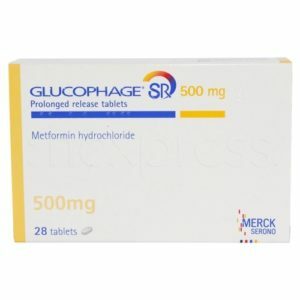 I’ve been taking Glucophage 750mg slow release for almost 2 months to regulate my insulin resistancy and 15 kg weight gain after giving a birth. Since then I have lost 5 kg which is really great since I am trying to lose weight for 5 years. I don’t feel food cravings. The problem is that I have serious heart palpitations – arrythmias like skipping every 2nd 5th 10th beat. Sometimes I feel dizziness from palpitations. I stopped the medicine for 3 days and symptoms were almost gone. Then I started again med and Palpitations are back. I don’t know what to do since I really need to treat my insulin resistancy. I have in my family diabetes, stroke and heart disease and I am only 40 now. I was diagnosed with Type 2 diabetes 1.5 months ago. My A1C was 15.8, Urine Glucose over 500 (test max) and my first home blood glucose test was 577. My doctor had me start with one metformin 500mg ER tablet a day for the first week, then two a day since then. 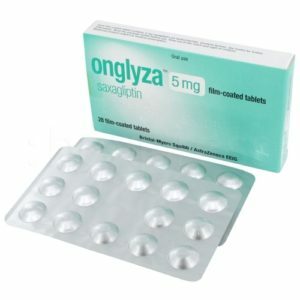 I also was prescribed a 5mg tablet of glipizide a day. My Blood Glucose has been in the 85-150 range the past month. I have modified my diet some. I did experience some diarrhea, though am over it now. I’ve been taking it a couple of years. The first month or so was horrible with side effects all over my body. That all went away pretty quickly. Before taking metformin, I struggled daily with functioning due to low blood sugar. Now I have almost no problems functioning. I found out I had PCOS and insulin resistance last year. I tried to lose weight naturally and without success. Started on metformin 500 twice a day after food and had terrible stomach problems plus depression. My husband noticed I was terribly low. Then doctor recommended 1000mg slow release and have felt fantastic for the last 3 months. Cravings gone, don’t feel lethargic after eating and have much more energy. I have lost 5kg of fat and been able to build muscle easily with a good meal plan. Very happy but wondering if I should go back to check my glucose tolerance again and if I can or should increase. very hard on the stomach but worked ok for reducing blood glucose. VERY expensive. was diagnosed with type 2 diaberes in 2005. I tried metformin and it made me deathly ill. I practically lived in the bathroom for the month I tried it the first time. After that I checked the internet and found 2 other manufacturers of metformin. Both caused same reaction. The Doctor then tried the “real” brand Glucophage. I haven’t had any problems since then. I am able to control my sugar . However I haven’t been able to get the “real” Glucophage in over 3 months. It is on long term back order and not expected for3or 4 more months. I will die if necessary before ever going back to the metformin. I have no problem taking this drug. While on this medication, I’m not confident it did much for my PCOS, however, I never had an appetite and it helped my constipation! 10/10 great unintentional weight loss pill. Side effects are stomach pains, queasiness, cold sweats and nightmares.